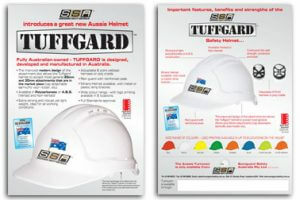 Welcome to Sureguard Safety Australia the home of TUFFGARD, the Australian made safety helmet. 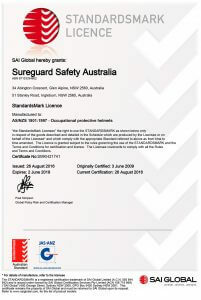 The people behind SSA and this great safety product have many years experience in the Australian safety industry – and are proud to have designed, manufactured and launched this Australian made and owned product. 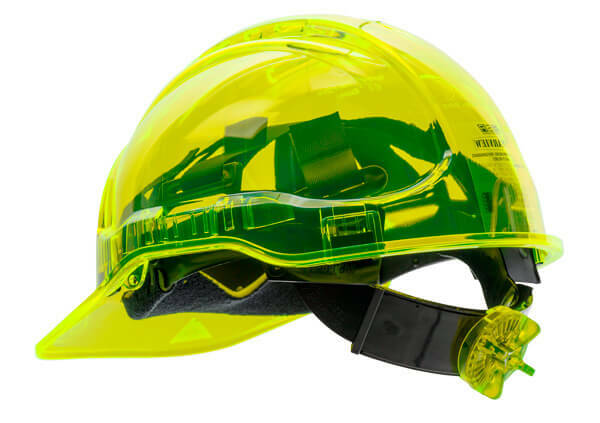 Sureguard Safety Australia, in conjunction with BASF and Martogg & Company, have developed a translucent hard hat which is patented and sold globally. The idea behind the development of the translucent helmet was safety. In saying safety, it allows the wearer to be able to see through the peak of the helmet and have peripheral vision on both sides. The helmet has AS/NZS 1801 , EN397 and ANSI Z89.1 Certifications. It is UV 400 stabilised so that when worn outdoors, the wearer does not get sunburnt. It is manufactured from a high grade polycarbonate. It is manufactured in both vented and non vented styles and can be adapted to mining cap configuration with lamp bracket and lead strap. It is also available with either ratchet or pinlock harness adjustments. Clearview is available in a wide range of colours. It has wide and varied applications from construction, mining, stevedoring, just to name a few. We have recently developed two new exciting colours – fluro yellow and fluro orange which have a light reflective additive to the material. These also have unique varied applications, ie dimly light situations for example night road work sites and mining.